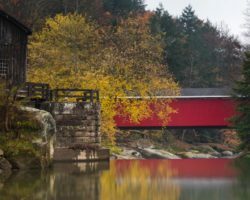 If you love historic structures, you won’t want to miss the four beautiful and historic covered bridges in Indiana County, Pennsylvania. 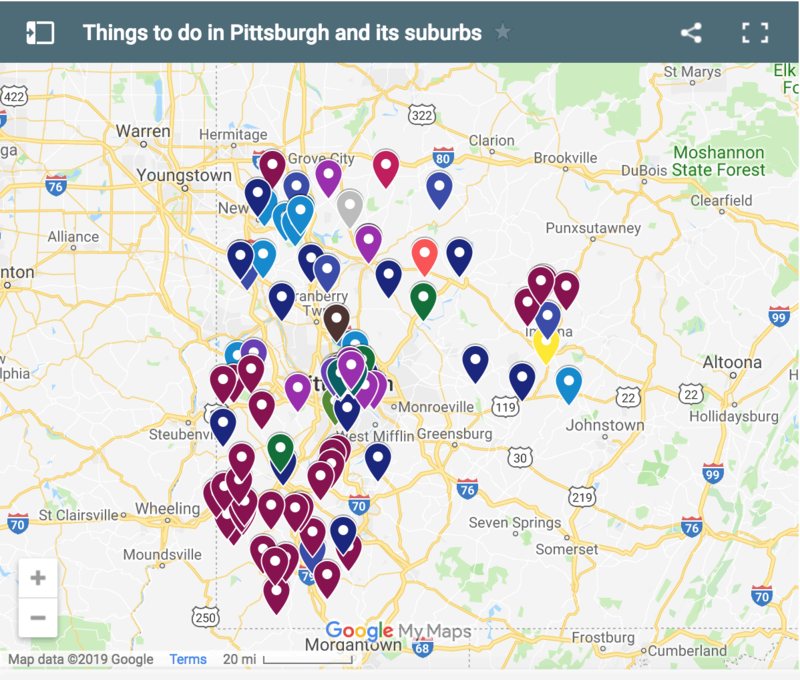 Spread throughout the northern half of the county, these four bridges offer a great chance to explore the little-seen countryside in this beautiful part of Pennsylvania. The bridges below are listed in order from west to east, but could just as easily be seen while traveling in the opposite order. 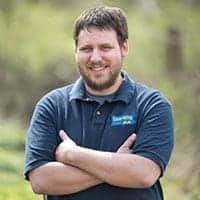 Take a minute to read about them and then start planning your visit to see these beautiful Pennsylvania covered bridges. 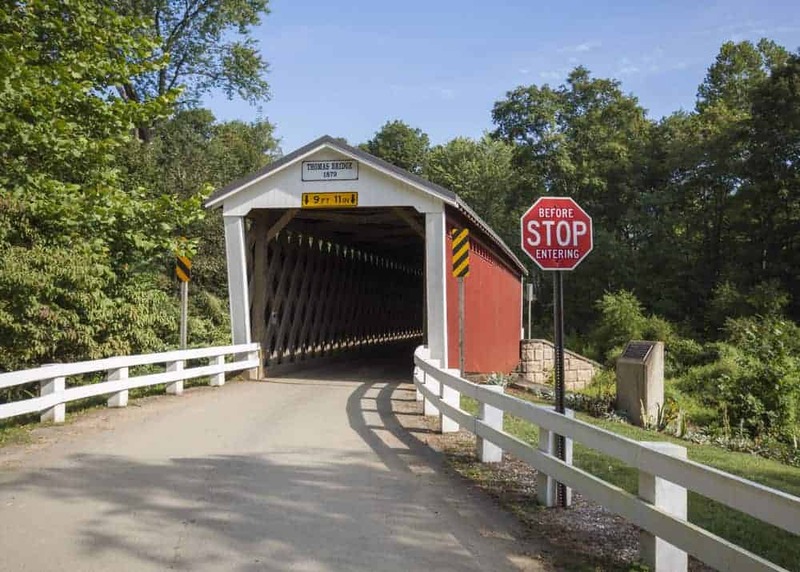 Thomas Ford Covered Bridge is the westernmost and southernmost covered bridge in Indiana County. 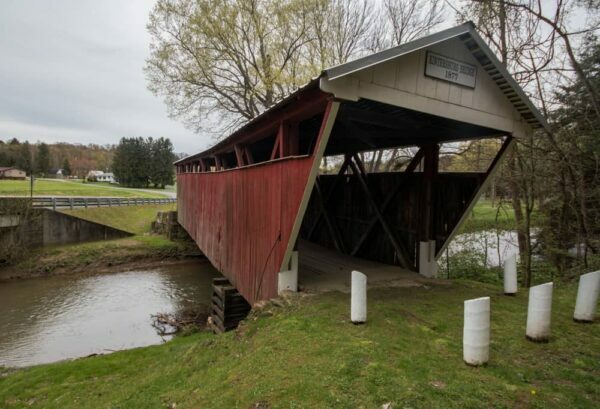 Located roughly 2.5 miles off of Route 422, it’s also the most easily accessible of the county’s covered bridges. Thomas Ford Covered Bridge was built in 1879 over Crooked Creek. 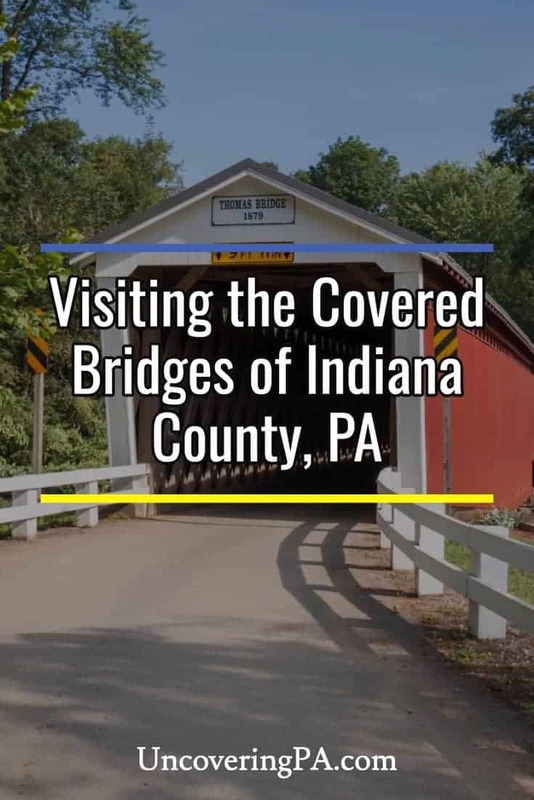 At 75 feet in length, it’s the longest historic covered bridge in Indiana County. It is also the only one of the four that can still be driven across. Another look at Thomas Ford Covered Bridge. Thomas Ford Covered Bridge utilizes a Town truss system and was last refurbished in 1998. 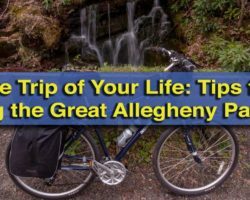 Just down the road from Thomas Ford Covered Bridge (along the route from Route 422) is a tunnel under the railroad tracks that has been painted with a beautiful mural. This mural features the covered bridge (called Thomas Bridge in the mural), and offers a unique addition to the landscape of the area. Don’t miss this very cool mural near the bridge. 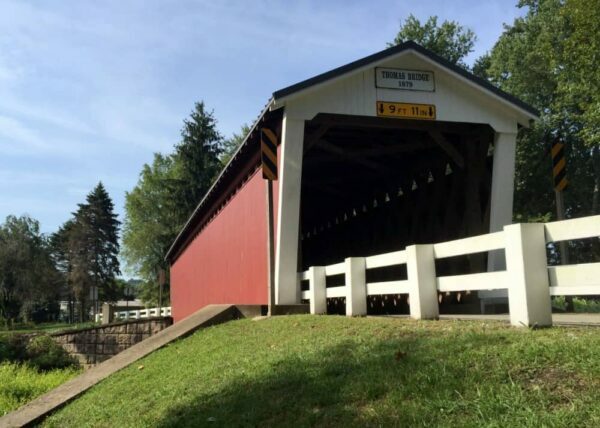 Getting There: Thomas Ford Covered Bridge is located west of Indiana, Pennsylvania, just off of Route 422. 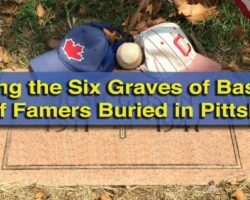 It can be found at the following coordinates: 40.664061, -79.236852. There is room for several cars to pull off of the road near the bridge. The mural at the railroad tracks can be found a quarter mile north on Thomas Covered Bridge Road at the following coordinates: 40.665982, -79.238264. Trusal Covered Bridge is located in a beautiful area for northern Indiana County amongst bucolic farmland. Built in 1870, this is the oldest historic covered bridge in the county. Trusal Covered Bridge crosses the South Branch of Plum Creek, and, at only 35 feet in length, is the shortest covered bridge in Indiana County and one of the shortest covered bridges in Pennsylvania. Instead of straight up and down sides, Trusal Covered Bridge has slanted entrances, giving it a trapezoid appearance from the side. It utilizes a Town truss in its construction. A side view of Trusal Covered Bridge. Getting There: Trusal Covered Bridge is located 20 minutes north of downtown Indiana, Pennsylvania, in a rural part of the county. It can be found at the following coordinates: 40.730347, -79.184293. There is space to pull off to the side of the road near the bridge. The bridge is located in beautifully maintained parkland. 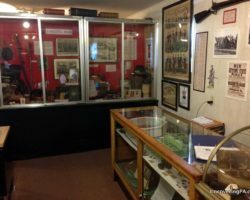 Harmon’s Covered Bridge is located just a stone’s throw from Trusal Covered Bridge. In fact, you can see one covered bridge from the other. 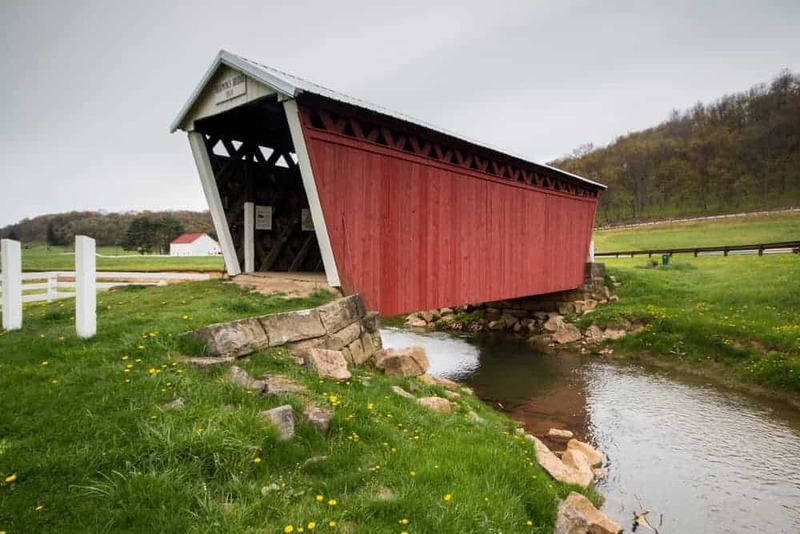 Like its neighbor, Harmon’s Covered Bridge crosses the South Branch of Plum Creek. 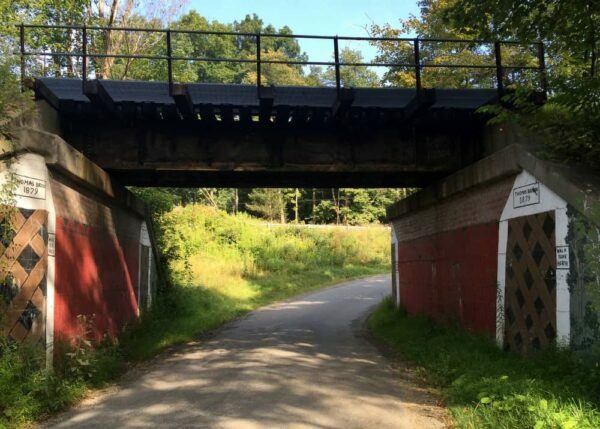 It’s nearly a mirror image of Trusal Covered Bridge with a unique trapezoid shape. However, Harmon’s Covered Bridge is a bit longer at 41 feet in length. A closer look at Harmon’s Covered Bridge. 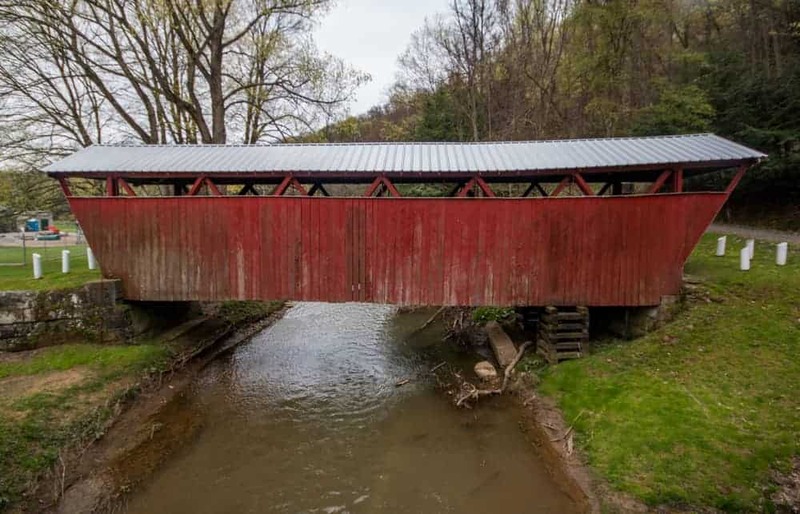 Despite these similarities, Harmon’s Covered Bridge was built four decades after its neighbor and was constructed in 1910, making it the newest, historic covered bridge in Indiana County. It also utilizes a Town truss construction style. Getting There: Harmon’s Covered Bridge is located just upstream of Trusal Covered Bridge, 25 minutes north of Indiana, PA. It can be found at the following coordinates: 40.734033, -79.175530. There is room to pull off alongside the road here. The bridge is located on well-maintained parkland. 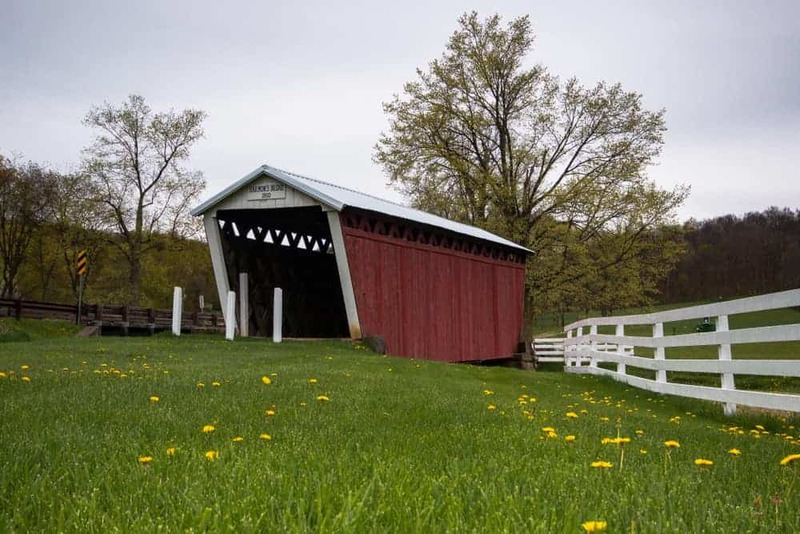 Kintersburg Covered Bridge is the easternmost covered bridge in Indiana County, PA. It is the only covered bridge in the county with a Howe truss design. 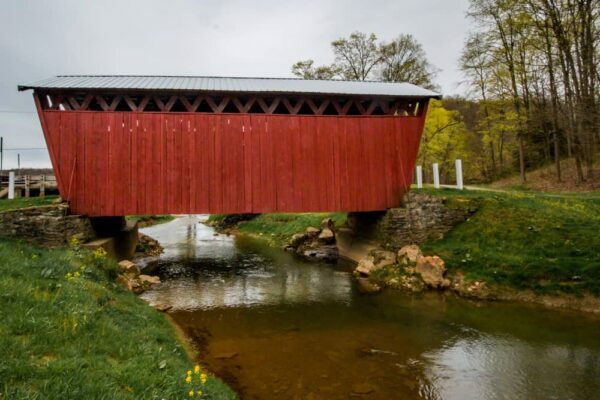 In fact, it’s one of only five of that design still remaining in the state (with St. Mary’s Covered Bridge in Huntingdon County being a notable bridge with the same style truss). 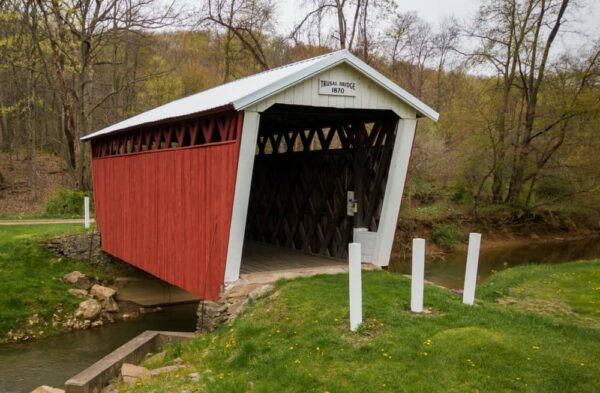 Kintersburg Covered Bridge was built in 1877 and crosses Crooked Creek well upstream of where Thomas Ford Covered Bridge crosses the same waterway. It is 62 feet long. A side view of Kintersburg Covered Bridge. When I visited in the spring of 2017, it looked like the supports underneath the bridge were in serious need of repair. Hopefully that happens before the bridge is lost. Getting There: Kintersburg Covered Bridge is located a mile and a half off of Route 119 near Home, Pennsylvania, in northeastern Indiana County. It can be found at the following coordinates: 40.713525, -79.081243. There is space to pull off of the road between the bridge and the power substation nearby.